When the Tesla CEO met with Trump and other business leaders, he suggested the White House back a carbon tax. Per a Bloomberg report, this got little or no support from Trump. 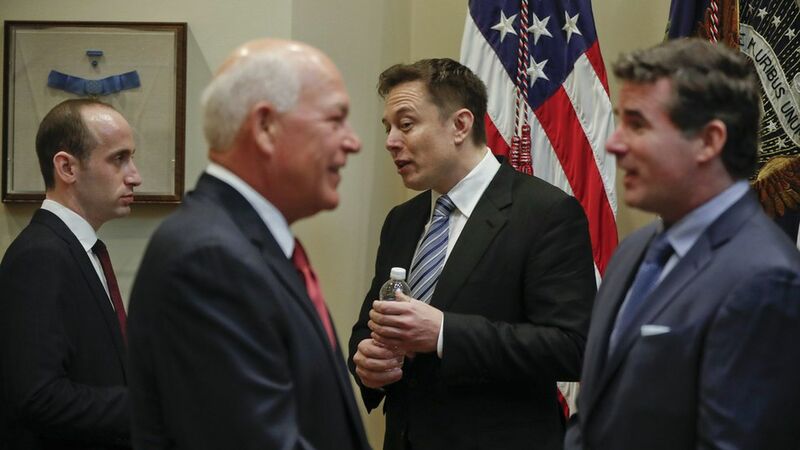 Musk isn't alone: Earlier this week, the Tesla CEO Tweeted about his support for Trump's nominee Rex Tillerson, who used to serve as ExxonMobil's CEO. ExxonMobil has lobbied on Capitol Hill for a revenue neutral carbon tax.